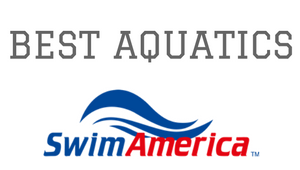 Best Aquatics Learn to Swim Program / Development & Competitive Programs. •	Swimmers who have already deposited an amount to participate in the program, and have already attended more than three swim classes will not be allowed to refund the amount again. •	Swimmers who have already deposited an amount to participate in the program, and have attended less than three swim classes will be entitled to a refund equivalent to 70% of the amount paid. •	Swimmers who have already deposited an amount to participate in the program and have not attended the any swim classes will not be allowed to refund the amount again and have no right to claim the amount of the membership, except for an earlier notice to the company with a medical excuse or travel outside the country(Document needed). •	Each membership's payment includes all holidays, breaks and any potential scheduled or unscheduled interruptions to training due to matters beyond our reasonable control, e.g., weather or maintenance. •	The company will not be allowed to refund the amount paid in cases of sick leave, sick days, holidays, exams, and excuses transportation. •	The Membership Payment cover the training services approved by the company and do not contribute to personal training, as all efforts will be made to make sure that the training schedule is still appropriate and continuous, and can replace the trainers in casre of disability, illness, weekends, competitive tournaments. •	In order to make up the missed classes due to Sickness/Travel outside Kuwait, concern documents should be submitted like Medical report/ Air ticket respectively. •	Payments made during offers and discounts are not-refundable. •	Please keep this Receipt Coupon throughout the subscription period. •	All training programs are coed (boys & girls together). •	Separate package and timing will be applied for Separate Women/Girls classes. •	All instructions given by the Coaches are to be followed. •	Any new swimmer will be examined before admission. •	Parents or spectators are not allowed to interrupt the practice, or speak to the coaches or walk, stand and talk by the pool side during the practice. •	All members in the Program must have the FULL Team Kit that is required as per their squad conditions. •	Parents are not allowed to interfere with the coaches program, for any feedback, comments and or suggestions, parents must contact the Administration. •	No swimmer may use the pool unless it is officially open and the Coaches are on duty. •	Admission to the pool may be denied for any condition or evidence, which in the opinion of the manager would jeopardize the health and safety of the membership. •	No running allowed. Patrons must walk in pool and restroom areas. •	Running, pushing, causing undue disturbance, or any conduct that may endanger the welfare of self or other patrons is prohibited. •	Children under 5 years of age or non-swimmers must be supervised at all times and are not allowed to be in the water only under the Coach's consent. •	Proper swimming attire must be worn. T-Shirts are discouraged and will be allowed only at the Coach's discretion. •	Spitting, blowing of nose into the pool or onto deck, improper public displays of affection, and profanity are prohibited. •	Food and drinks are not permitted on the deck. •	Glass containers or breakable objects of any kind are not permitted in the pool area, restrooms, or outside deck. •	All injuries occurring within the pool area or restrooms must be reported to the Coach on duty immediately. •	Smoking is not permitted inside the pool gates. •	No animals inside the pool area. •	assumes no liability for the loss or theft of member's personal belongings. Items left in pool area at the end of the day will be placed in the pool's lost and found. •	The Manager or Coach on duty has the authority to enforce these rules and may remove any patron who violates these rules from the program. •	Fights, disputes and or arguments, between parents and or swimmers will not be tolerated and will jeopardize the swimmer's eligibility to continue in the program. As the parents or legal guardian of the above named student-athlete, I give my consent for his/her participation in the Team's training program and athletic events and the physical evaluation for that participation. I understand that this is simply a screening evaluation and not a substitute for regular healthcare. I also grant permission for treatment deemed necessary for a condition arising during participation of these events, including medical or surgical treatment that is recommended by a medical doctor. I grant permission to trainers and coaches as well as physicians or those under their direction who are part of the athletic injury prevention and treatment, to have access to necessary medical information/records/documentation. I know that the risk of injury to my child/ward comes with participation in sports and during travel to and from play, meets and practice. I have had the opportunity to understand the risk of injury during participation in sports through meetings, written information, or by some other means. My signature below indicates that to the best of my knowledge, my answers to the above questions are complete and correct. I understand that the data acquired during these evaluations may be used for research purposes.